Summer is just around the corner, and hopefully there will be lots of hot summer days ahead. What better way to enjoy this beautiful season than to take a trip and pack a picnic. Eating outdoors is a real treat when you’re out and about, and preparing a picnic lunch or tea gives you the flexibility to eat when and where you like. It needn’t be a chore preparing the food, either, as there are plenty of delicious recipes that are ideal for picnicking – and you can get the whole family involved in selecting and making the food too. A picnic hamper is ideal for eating in the outdoors, as it contains everything you need in the way of serving dishes and cutlery. It’s much nicer to eat off of proper plates rather than plastic or paper, and more eco-friendly than using disposables as well. 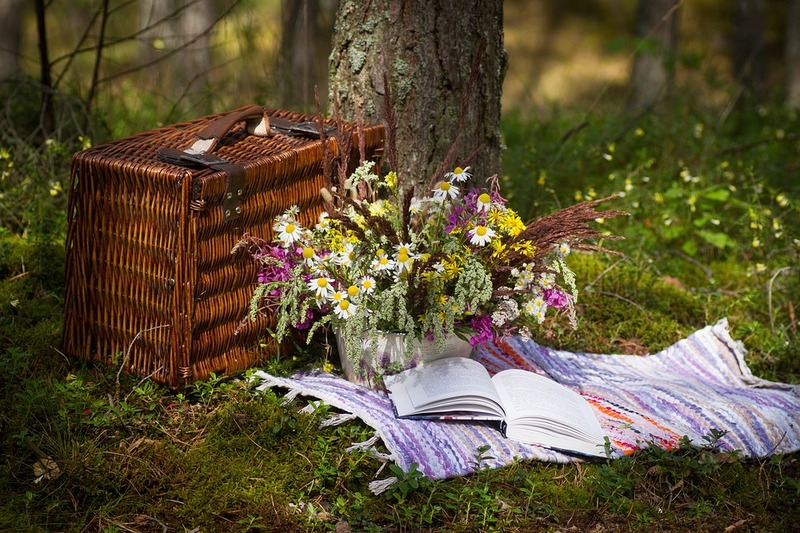 Investing in a good quality picnic hamper may be more expensive than buying throwaway items, but it should last a very long time, saving money in the long-term. You’ll also need a cooler for all the perishable food, as just a few hours of exposure to summer temperatures will have your salad wilting and bacteria breeding, and a bout of food poisoning is definitely something to be avoided! You can get a range of different coolers at varying price points, so for example, if you like the quality of the YETI but don’t want to pay their prices, have a look at a list of YETI type coolers to find a more economical option. Make sure you have a cloth to lay the picnic out on, bottle opener, napkins, hand wipes, and insect repellent, and if you want to be extra comfortable, some camping chairs or big cushions to sit on. Salads are ideal for picnics, full of seasonal produce and refreshing tastes and textures. In addition to the regular lettuce, cucumber and tomatoes, try adding different leaves like spinach and beetroot, or microgreens and herbs for a more dynamic taste. Avocado, carrots, chives, kale; pretty much any vegetable can be included in your salad, while hemp seeds, quinoa, couscous, or any kind of beans will add a different texture and make the salad more filling. Don’t forget to add some dressing to finish it off. Vegan burgers come in all shapes and sizes, from tofu to pumpkin, and unlike hamburgers, they taste just as good cold! Take a tangy relish, some vegan burger buns and pickles for a sumptuous burger feast. Vegan baking is famous for being rich and luxurious, so treat yourselves with some chewy peanut butter cookies or chocolate fudge brownies. Take a variety of fresh fruits like berries, melon, kiwis and bananas along, or make up a batch of fruit salad at home before you leave. Add some special vegan recipe bread to your hamper, and don’t forget spreads, sauces and condiments. If you search for vegan picnic recipes online, you’ll find many more ideas to suit every occasion and satisfy all tastes, so take advantage of the good weather and get your al fresco on!